​Teachers will be given an introduction to the basics of compositions, layers and the specific way that After Effects uses layers and the timeline. They will gain an in-depth understanding of key-framing, masks, alpha channels, parenting and much more. The principles will be explained, and teachers will gain hands-on experience as they move through a multilayered project of their own. Teachers will be provided with sample programs and activities that they can apply in their own schools. - Make informed decisions about how you might use this powerful application in your programming. 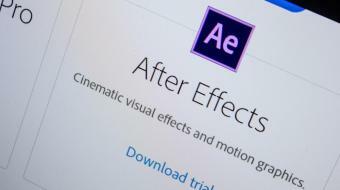 - Plan and deliver programs and lessons on compositing, animation and motion graphics. - Give informed feedback to your students on their projects and questions that promote critical and creative thinking. - Export projects for viewing, including online, as well as understanding HSC and IB file requirements. - Lots of practical hands-on experience with the latest version of the application. This course contributes to 12.0 professional development hours.